1.LED Microphone is 9" inches. 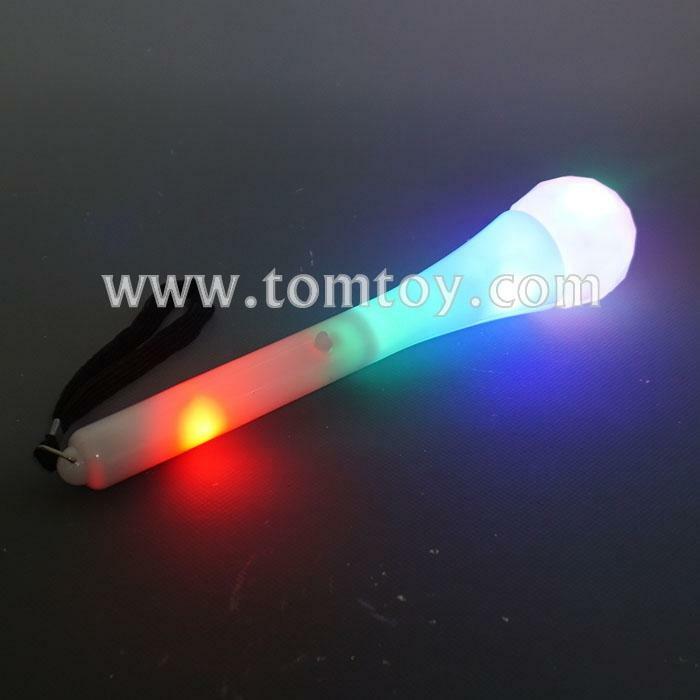 2.This is a toy,3 flash mode,does not amplify sound. 3.Includes a nylon wrist wrap.